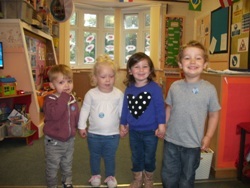 Bright Kids Studley raised just over £40 for ‘Jeans for Genes’ on Friday 19th September when everyone in nursery paid a £1 fine to wear their jeans for the day in support of children with genetic defects. 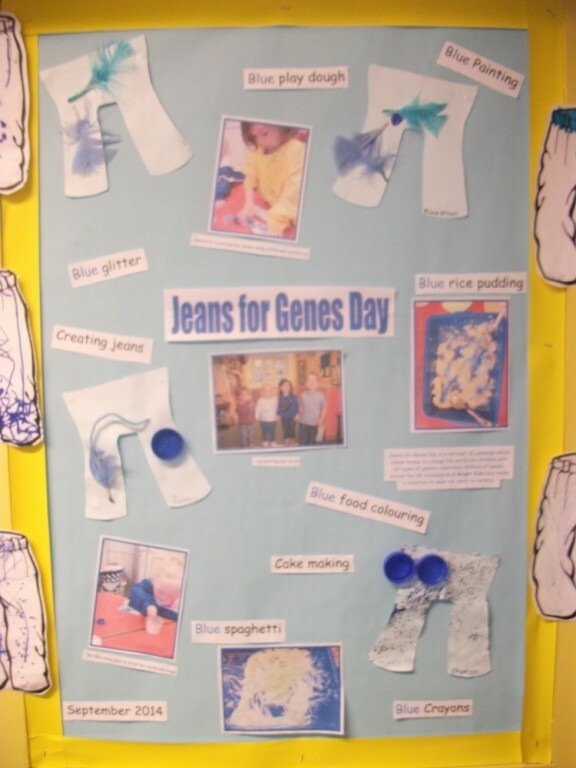 As well as donning their jeans, children also took part in lots of blue activities including making blue spaghetti and rice pudding, getting creative with blue play doh and blue sticking activities. 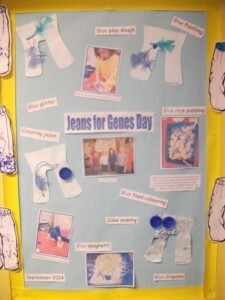 Pictured are: The Jeans for Genes display board and Norman Lowe, Cleo-Mai Wood, Charlotte Boughton and Finley Davis, all age 2.